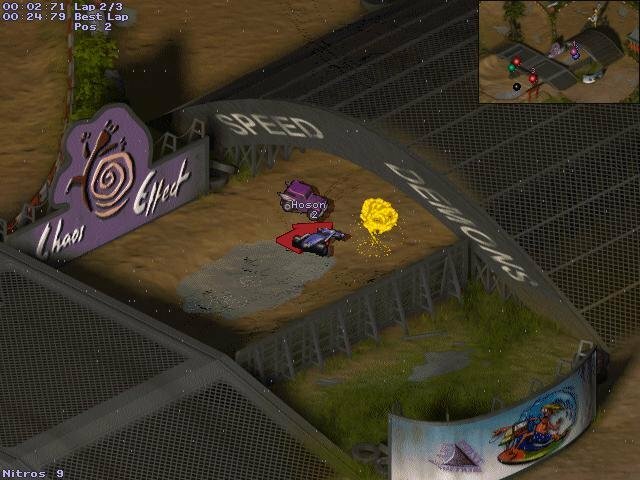 There’s probably a good reason why 2D racers are so few and far in between, and Speed Demons doesn’t do much service in breathing new life into the genre. 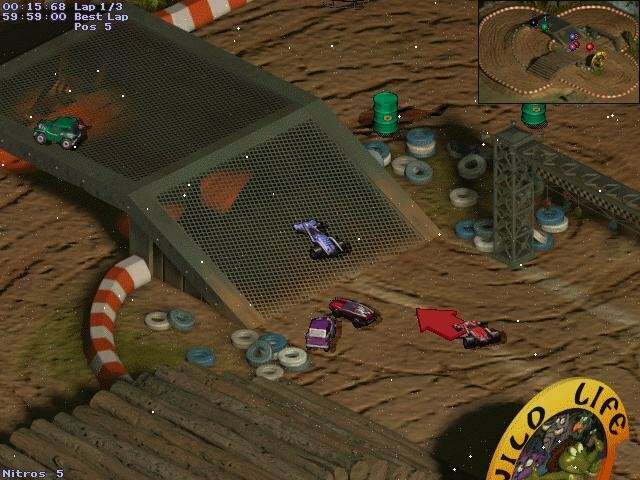 This obscure isometric racer isn’t fundamentally broken, but there’s just so little to go around here that its value is indeed slim. 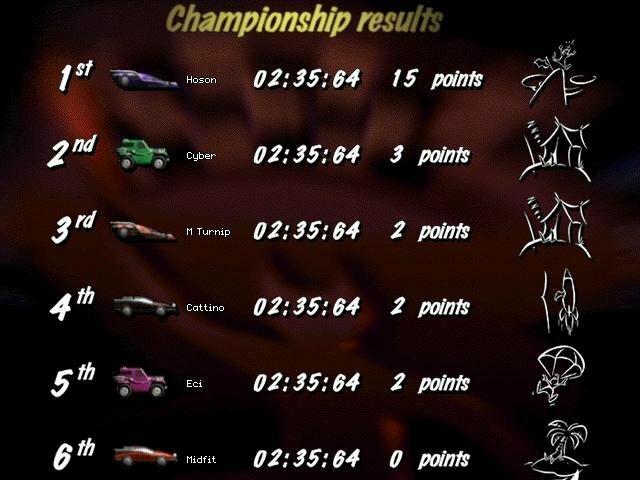 Instead of going for the traditional blend of championship, time trial and quick races, Speed Demons features ‘Leagues’, a term describing packets of races that differ according to how challenging they are. 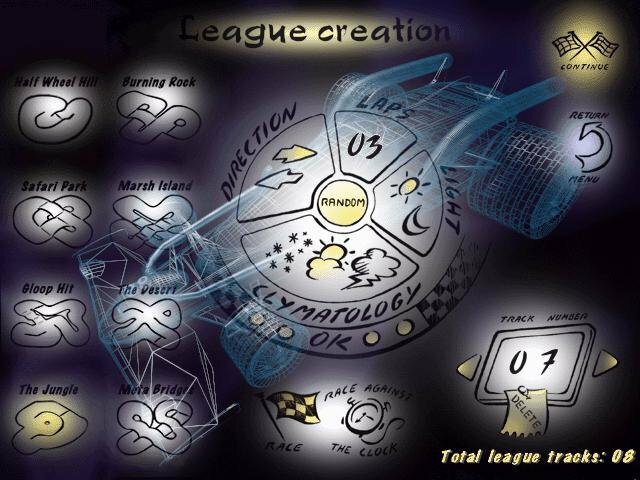 These don’t count for much, as you can modify or create your own leagues at will, effectively adjusting the number of races, laps and weather conditions you’ll experience. 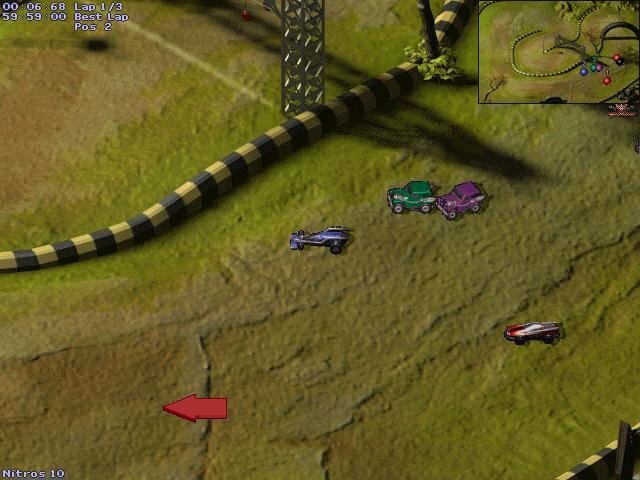 This customizable championship mode takes place of quick races, and highlights just about everything there is to do ingame. 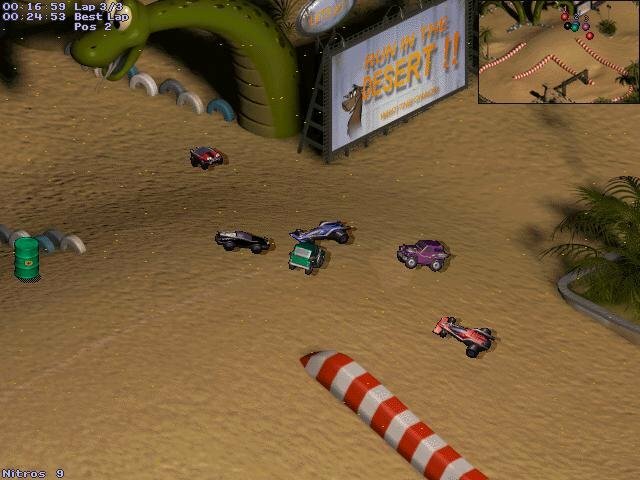 You’ll also have a choice driving one of six cars, though I’ve failed to notice any real technical differences between them. 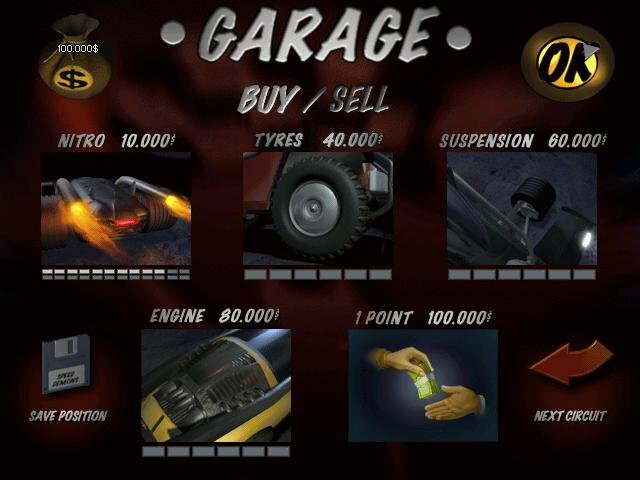 Winning races earns you money which you can spend on upgrading your car. 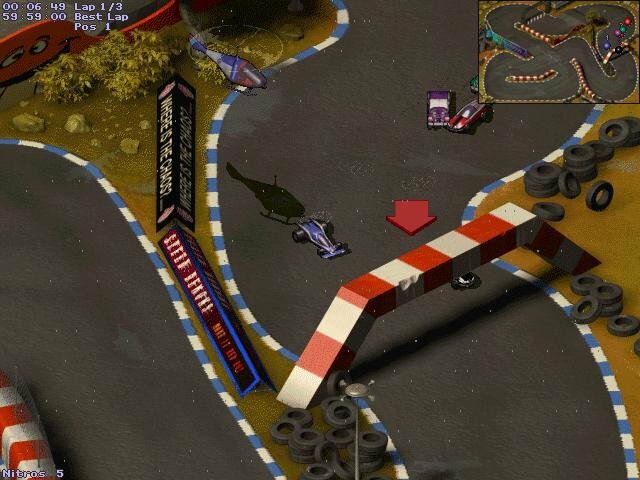 The racing part in this isometric curiosity isn’t much to brag about. 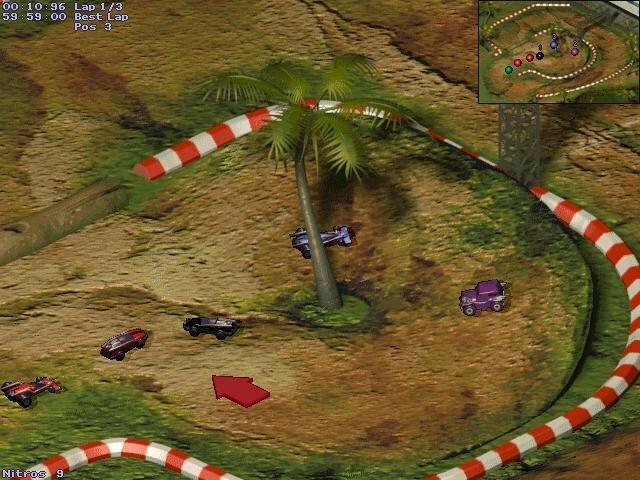 Although the scenery is vibrant (marsh, jungle, desert environments, etc), the tracks are too small and the roads usually too narrow to accommodate everybody, resulting in embarrassing bumper-car style gridlocks around each corner. 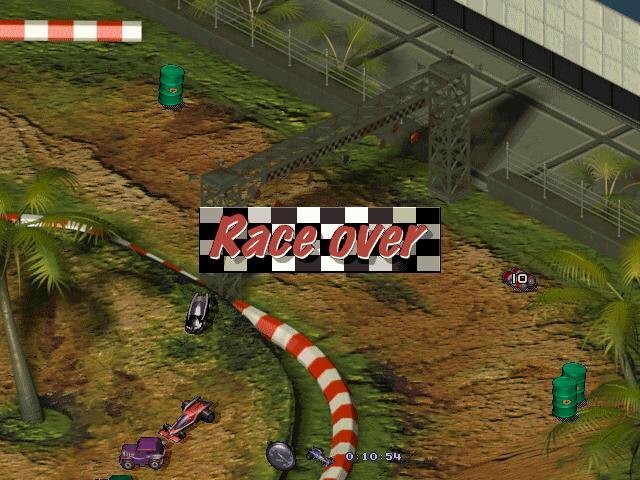 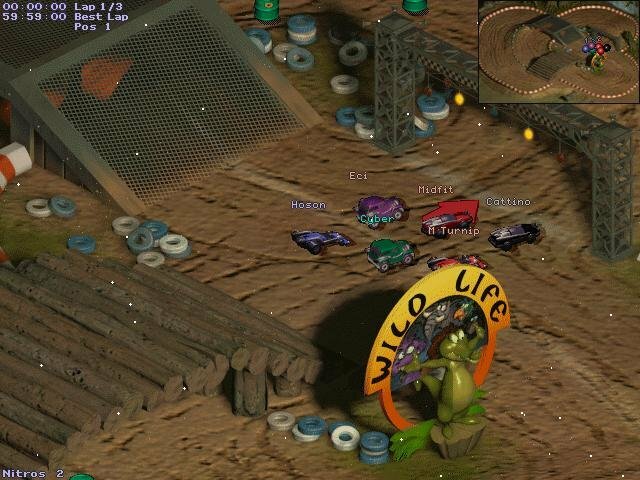 Explosive barrels make up the only avoidable trackside obstacle (they only slow down your vehicle and not damage it), and there are almost no zany power-ups save for the rare nitrous, tire or cash boosts. 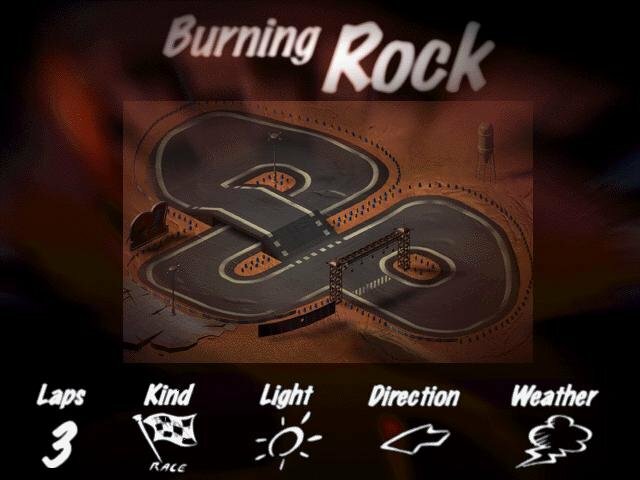 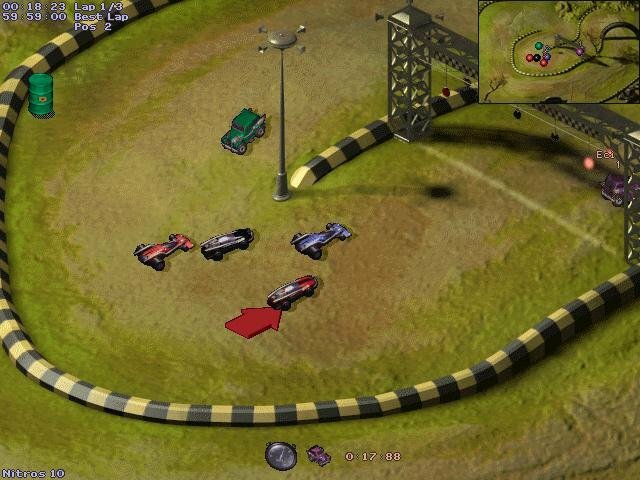 Racing physics are as complex as they can be considering the basic 2D gameplay. 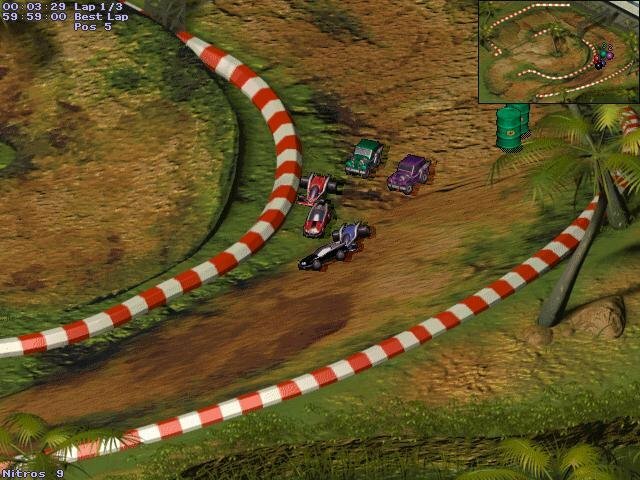 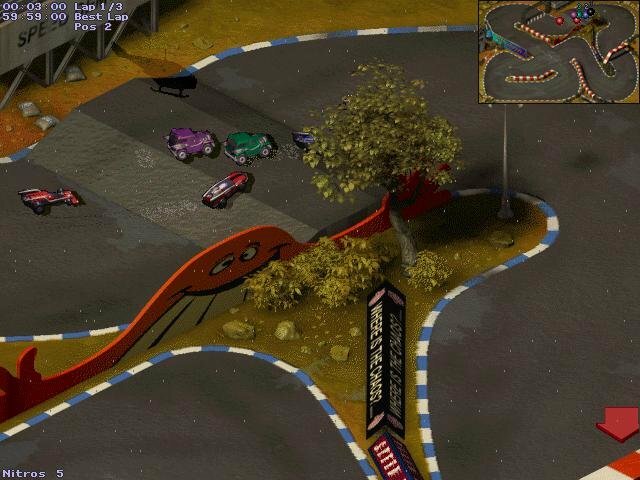 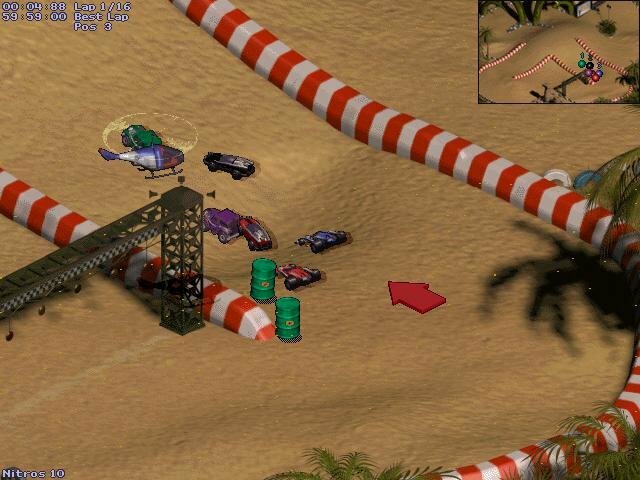 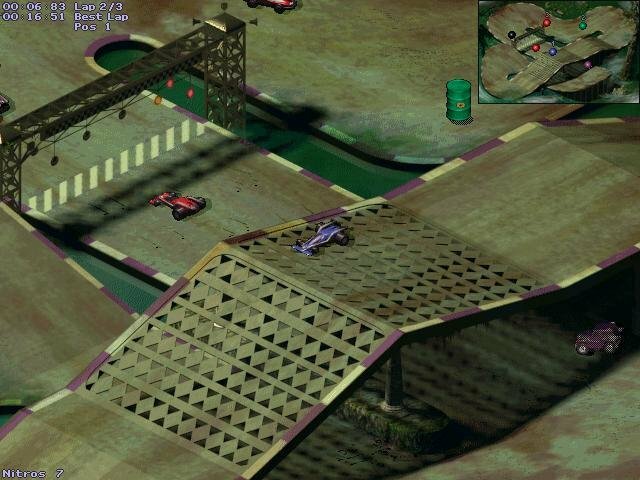 With its small tracks and simple play, Speed Demons could have easily supported a 2-player mode, but you don’t get this, nor any multiplayer functionality at all. 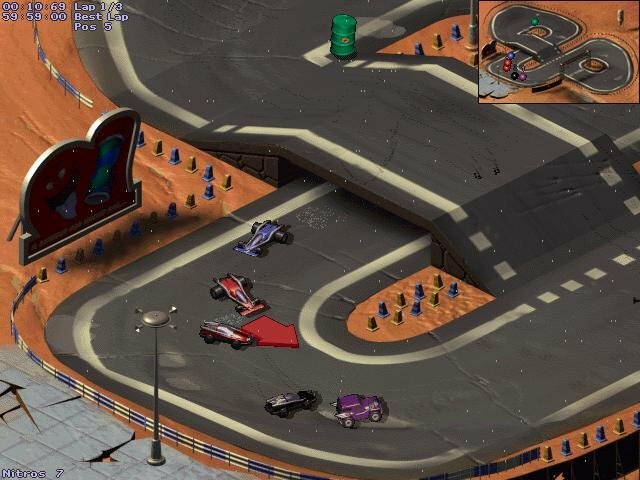 In the end, all you get is an oversimplified isometric racer with too little to go around, and which would only interest those allergic to 3D.